Reet Silvia Jurvetson was born September 23, 1950, in Sweden and grew up in Montreal, Canada. A remarkably beautiful and bright young girl with a taste for adventure. The youngest of the children in the family, Jurvetson's parents were Estonian refugees who traveled to Canada in 1951, settling in Montreal, Quebec, where Reet grew up. 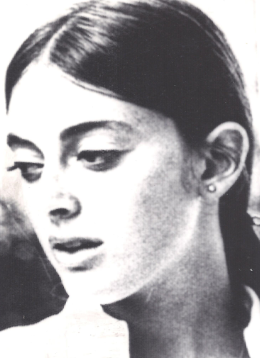 Reet Jurvetson at 16 years old. Free and independent but also naive, after graduating high school, Jurvetson got a job at Canada Post Office in Toronto, Ontario and moved there with her grandmother. She saved her earnings and in the fall of 1969, traveled to California to visit a man named “Jean” or “John” that she had met in Toronto. Friends of Jurvetson said the man was handsome and looked like Jim Morrison with a slight French accent. Witnesses stated they believed the man had been a medical student, but little more is known about the mysterious young man. 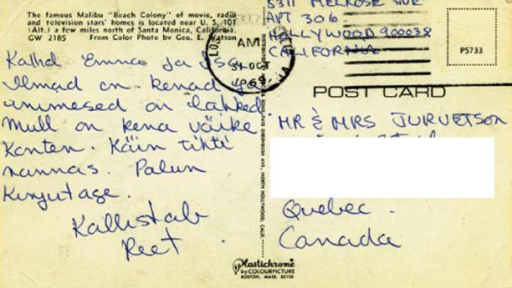 Following her move, she sent her parents a postcard telling her parents in the Estonian language, she had a nice apartment in a 4-story hotel, located at 5311 Melrose Ave., #306 in Hollywood, Calif. In the note, she told her parents not to worry. Reet also sent a postcard to her best friend. 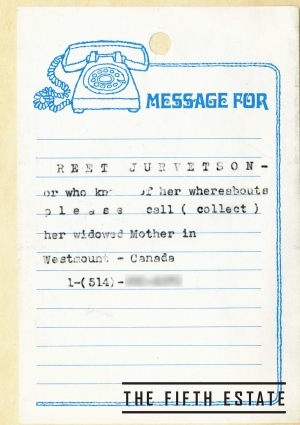 The last postcard Reet Jurvetson sent her parents in Canada in 1969. The weather is nice, and the people are kind. There was no communication to follow. Attempts to reach Jurvetson in California were futile. Her family prayed she was okay and hoped Jurvetson was just searching for her independence in a place where so many others from around the world had gone to seek something more to life. The family never filed a missing person report in Canada but did send someone to Hollywood to check the address listed on the postcard but informed Jurvetson no longer resided there. A private investigator had also been hired but was unable to uncover any additional details. Jurvetson’s parents resigned themselves to believing she had left on her own and hoped she would return but her mother gave up she would one day return. Her parents waited for Jurvetson to contact them. Months, and then years passed. In the years following, Jurvetson's father suffered in silence and would not discuss his daughter. Her mother began sleeping in Reet’s bedroom. Years later, Jurvetson’s older sister Anne found a stack of birthday cards in her mother’s dresser, each one made out to Jurvetson, with a question mark next to her name. The family heartbroken, years of ambiguity engulfed their hearts. 1969 was the year the United States heard the immortal words, “that’s one small step for man, one giant leap for mankind.” California was ground zero for anti-war demonstrations and a public demand to withdraw from Vietnam. Gas was .35 cents a gallon, the movie “Love Bug” was a popular film, painted peace signs adorned the cheeks of young women with headbands on their heads. The young caravanned cross-country to come together in the search for enlightenment and peace and to put an end to all war. Janis Joplin, Jimi Hendrix, the Doors and the Beatles inspired avid young music fans everywhere. The Beatles song “Get Back” was number one on the music charts. 1969 was the year 400,000 gathered in Woodstock, NY, in a peaceful music gathering. Following Woodstock, the Rolling Stones organized a free concert at Altamont Speedway in Livermore, Calif., along with the Hells Angels acting as bouncers. 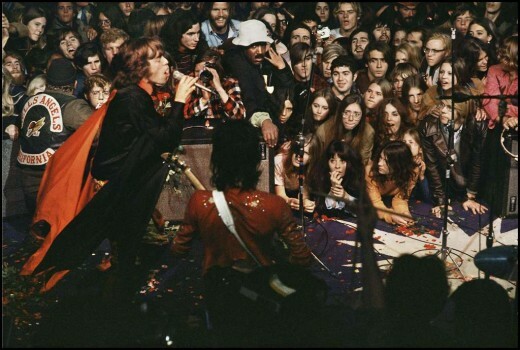 1969 Rolling Stones concert with Hells Angels in Altamont Speedway in Livermore, Calif.
What was to be a peaceful concert, turned violent, resulting in several deaths. That was just the beginning of several horrific incidents that would follow. August 9-10, 1969, is marred forever after Charles Manson and his followers killed actress Sharon Tate and seven others in a two-night murderous rampage. Gaining worldwide attention, the world would soon find out how self-appointed guru Charles Manson directed the killings his followers would execute. However, the Tate-LaBianca murders may not have been the only murders the Manson Family were responsible for in the Hollywood Hills that year. On November 16, 1969, a fully-clothed body of a young white female was found by a 15-year old boy who was out bird-watching. The body was discovered in dense brush along Mulholland Drive in Los Angeles, approximately 15-feet down an almost 700-foot ravine. A tree branch had prevented her body from falling the remainder of the way down. An autopsy determined the female victim had been murdered approximately 24-48 hours prior to the discovery. 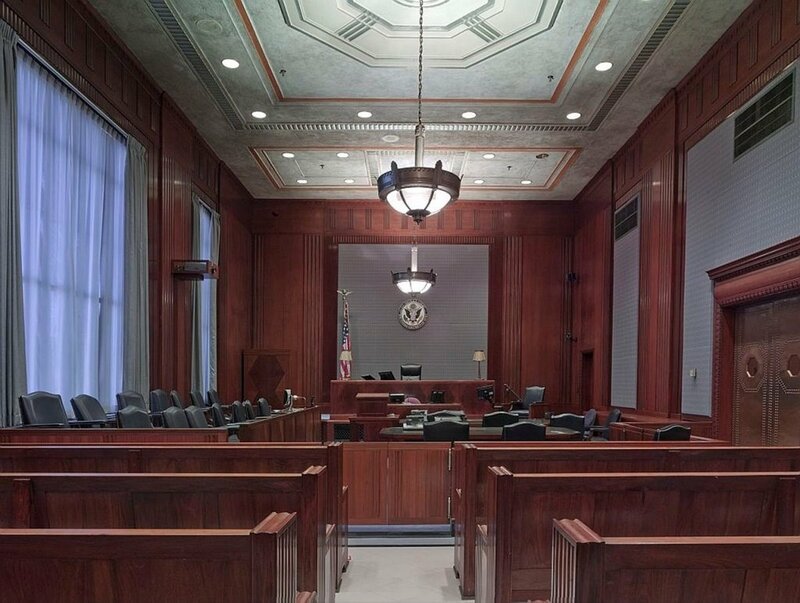 The victim had defensive wounds on her hands and had been stabbed over 150 times in the neck, chest, and torso, with a penknife, some of the stabbing severing the carotid artery. 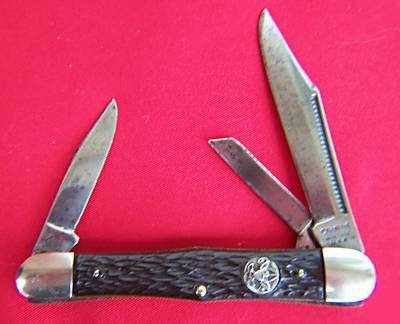 The coroner determined by examination of the knife wounds, the perpetrator was likely right-handed. The young woman had no alcohol or drugs in her system and it was determined no sexual assault had occurred. No identification was found on the body or surrounding location. Evidence at the crime-scene suggested the body had been transported to the location in the back seat and dragged around the rear of the vehicle, then rolled down the ravine where the tree branch prevented her from falling further down the canyon. Crime scene on Mulholland Dr. in Hollywood, Calif.
Several articles of clothing were found on the body. A pair of Italian boots and jacket made in Montreal, and a pair of “Levi” cut-off shorts made in Boston, Mass. The victim also wore a belt with a brass buckle, and sweater, along and two rings, one white with Native American designs determined to be from Mexico and one ring with a red stone. One strong piece of evidence Los Angeles Police Department (LAPD) found was approximately 50-feet from the victim’s body. A pair of “Liberty” brand glasses that belonged to a near-sighted individual. However, it was never determined if these glasses were directly related to the homicide. 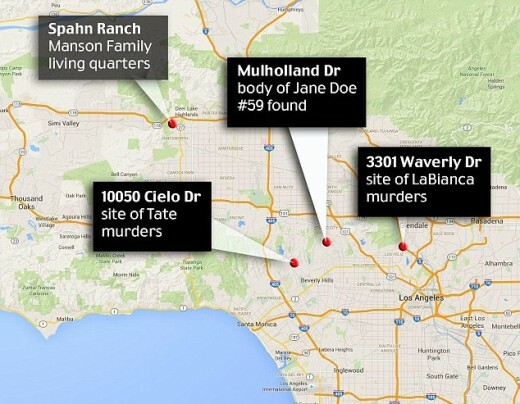 Based upon the location of the body only 6-miles away from the Tate-LaBianca murders that had occurred only 3-months prior, police immediately suspected the victim may be related to the Manson family. 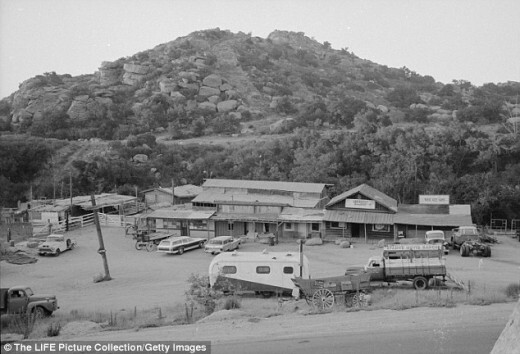 Spahn Ranch where the Manson family hid out during 1969. After the body was discovered, Charles Manson was interviewed by police but denied any involvement. Truth is, police don’t know. The unidentified body was found only a few weeks after Reet had left Canada. For 46 years, Jane Doe 59 had no name and no family had claimed her. 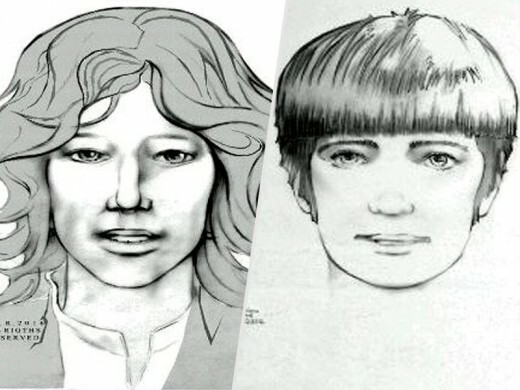 Composite sketches were drawn and distributed but technology did not exist in the 1970’s that would allow nationwide communication and cross-referencing of unidentified bodies. DNA had yet to be discovered as a reliable source of identification. The drawings were rudimentary and hardly identifiable. It wasn’t until June 2015, friends of Anne Jurvetson contacted her to tell her they had been searching the National Missing and Unidentified Persons System, a U.S. government database system, and found similarities between Reet and a morgue photograph posted on the website. 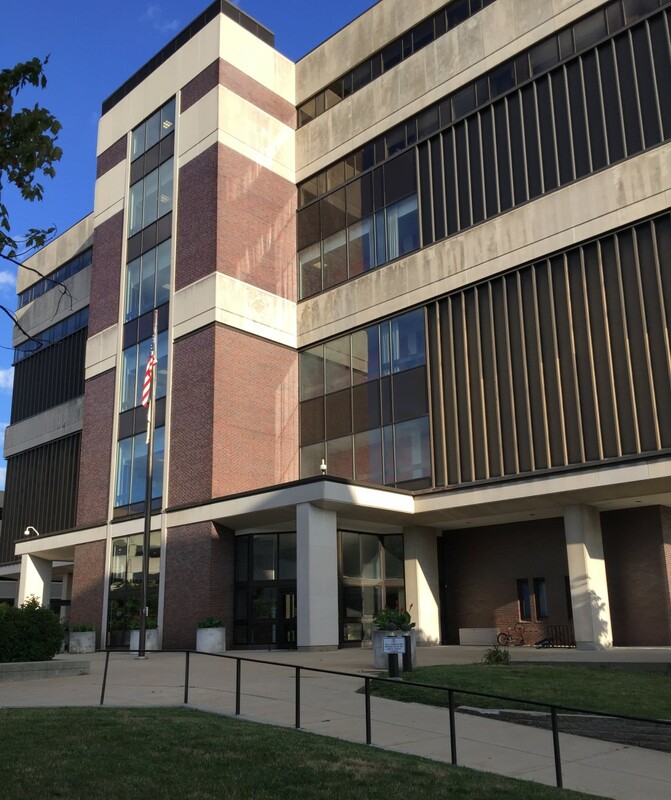 Anne contacted officials and submitted a DNA sample that was then cross-referenced with a blood sample that had been preserved from a bloody bra. There was a match. Jane Doe 59 finally had a name – it was Reet Jurvetson. After nearly 50-years, Reet Jurvetson was identified by friends of her family searching a national database. In 2016, LAPD Detective Luis Rivera stated, the now deceased Charles Manson, was re-interviewed but investigators were unable to uncover any new information from him. However, even though police are unable to link the murder directly to the Manson Family, they are still not able to rule out a connection either. A September 2016 People Magazine article “L.A. 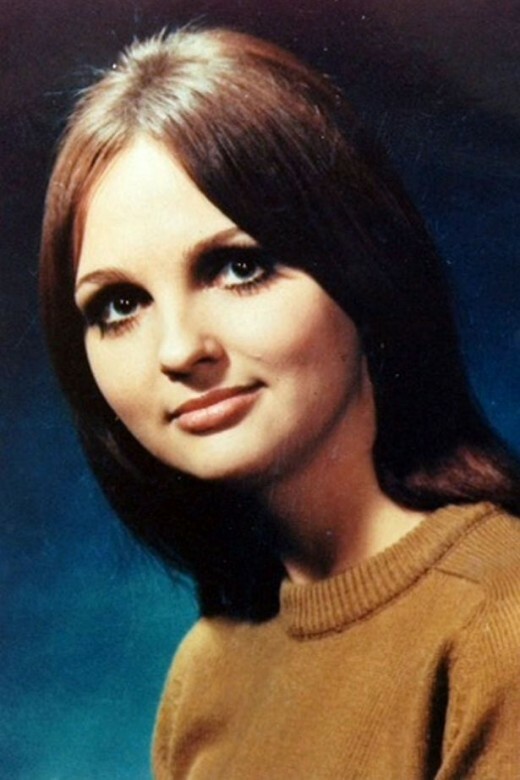 Cops Search for Two in 1969 Unsolved Murder of Reet Jurvetson, Say No Charles Manson Connection” refers to Vincent Bugliosi’s 1974 book “Helter Skelter” that suggests Jane Doe 59 might have been present at the death of suspected Manson Family victim John “Zero” Haught who died from a gunshot wound in November, the month Jane Doe 59 was murdered. Though Haught’s death was determined a suicide, Manson family members were reportedly present. 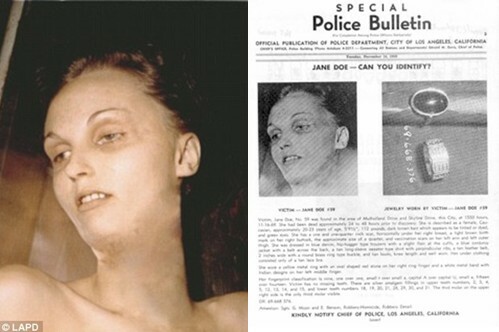 During the same time, police investigating Jane Doe 59’s death, also investigated any links to the September 23, 1969, murders of Scientologists 15-year old James Sharp and 19-year old Doreen Gaul, who were both found brutally stabbed and dumped in a downtown Los Angeles alley, only one week after Jane Doe 59 was found. 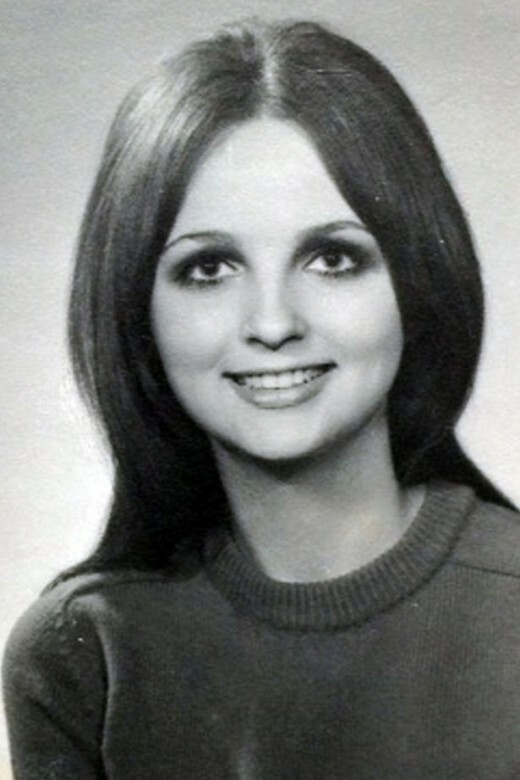 Links were also investigated in the murder of 17-year old Marina Habe, who reportedly had been abducted outside her West Hollywood residence on New Year’s Day 1969. Habe was a University of Hawaii student home on vacation and daughter of writer and newspaper publisher Hans Habe and actress Eloise Hardt. Murder victim Marina Habe, murdered December 29, 1968 in Hollywood, Calif.
Habe’s body was found at the bottom of a ravine on Mulholland Dr. approximately ½ mile from where Jurvetson’s body was located. Similarly, Habe died from multiple stab wounds. 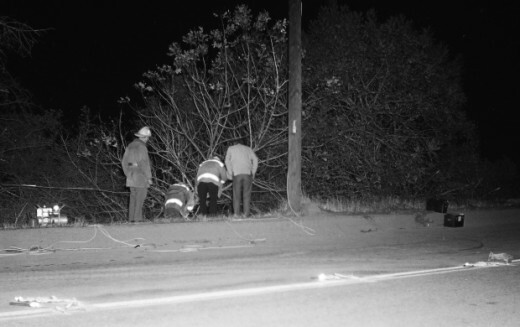 Despite the best efforts of LAPD during the 1969 murder investigations, no connections could be found to any of the murders. After the identification of her sister, Anne provided LAPD with the postcard her sister had sent her parents, dated October 361, 1969. The address at 5311 Melrose Ave., Apt. 306 in Hollywood gave investigators a place to start to begin investigating the murder of Jurvetson. After 50 years Reet Jurvetson's murder investigation begins. LAPD detectives Lou Rivera and Veronica Conrado flew to Montreal to interview a witness who had met Jurvetson and the unidentified man at Café Image so many years ago. The witness indicated he remembered the man’s name as Jean who had a friend with him – also named Jean who was shorter and wore a Beatles style bowl haircut. A composite was developed and released in an April 2016, LAPD official press release seeking the identity of the men Jurvetson is thought to have been residing with. 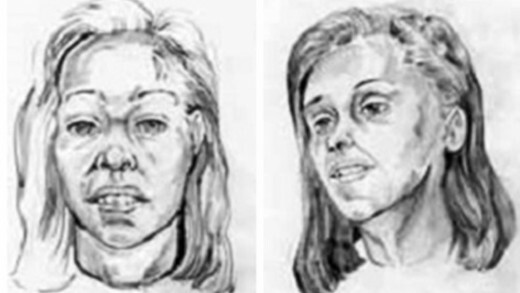 Composite sketches of two individuals Reet Jurvetson is believe to have been staying with in Hollywood, Calif. In 2016, the investigative Canadian program CBC “The Fifth Estate” released 23-part series “Who Killed Jane Doe #59 via Twitter and Instagram appealing to the public for leads in the case. The show resulted in Jurvetson’s childhood friend Gilda Green contacting the show with the first of many leads that would follow. Green said she had received a postcard from Jurvetson in the fall of 1969 from Los Angeles saying she was happy but never heard from her friend again. She then told Fifth Estate reporters she recalled seeing Jurvetson’s male friend in Montreal in the spring of 1970. Green recalled asking the man about if he had seen Jurvetson. “And he said, “Oh yeah, she was with us for a few weeks and then she left on her own and everything’s fine, she was happy,” and Jean went on to say he didn’t know where Jurvetson went after her visit with him in L.A. In addition to the new composites, the postcard with the last known address provided by Anne Jurvetson renewed hope that someone could be located who may have resided at the apartment complex and may have known Jurvetson prior to her murder, or help identify the men who also lived there. Detectives discovered the apartment complex Jurvetson has sent the postcard from was called the Hollywood Executive Apartments, demolished in 1989. It was a four-story building that backed to Paramount Studios. The owner at the time was Jack Dardashti who passed away in 2015 and unknown if he had retained tenant files. An April 2016, LAPD official press release and composite sketches appealing for the public’s help for new information regarding potential old neighbors and seeking the identity of the Canadian “John” or “Jean” and a possible roommate. The Fifth Estate discovered there was an individual who went by the name “M. Lindhorst” who resided in Apt. 305 directly across the hall. However, locating former neighbors has proven difficult for LAPD. Not one has yet to be identified. 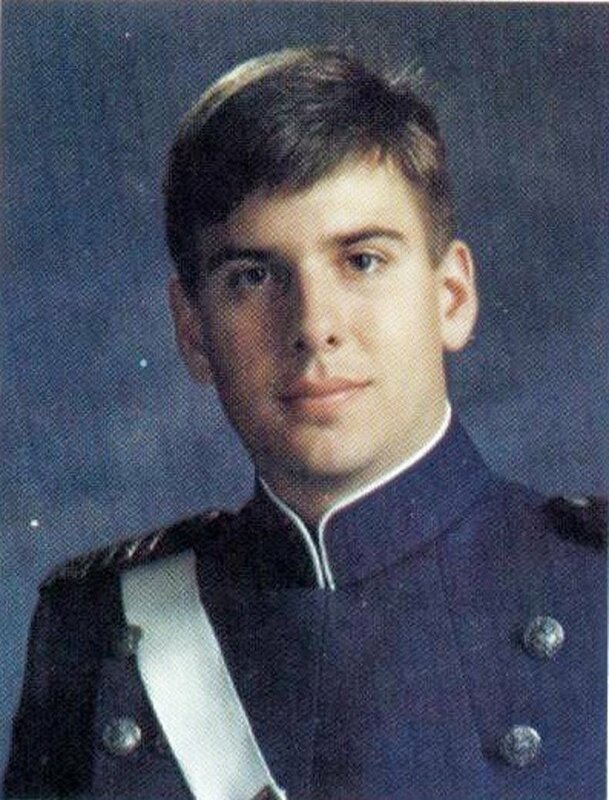 To date, police have been unable to identify who M. Lindhorst is. The best lead is the apartment building where Jurvetson was residing. Originally called the Paramount Hotel during the 1940s, the hotel rented to businesses on the main floor, to include a restaurant called the Rosalin serving up beer and steak, and a Tires and Tubes store. The famous Western Costume Co., Store was right next door, the most legendary costume provider to motion pictures. Founded in 1912 by a Native America Trader named L.L. Burns and partner Harry Revier, they supplied a film lab, costumes, and supplies. Eventually, the partners sold their Building and it became Paramount Studios. 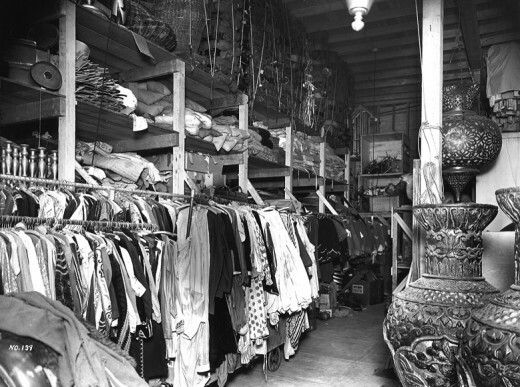 Western Costume Co., next door to the apartment building where Reet Jurvetson was staying in Hollywood, Calif. In the 1960s the hotel was transformed into an apartment building, and police are searching for anyone that resided in the building at that time. The one resident they want to find is Jean but they have no surname to go by. The only thing they have to go on is a description. Witnesses remember Jean as being slim, about five feet nine inches tall, brown eyes and look similar to John Lennon with shoulder-length feathered hair. They believe he grew up in Montreal and had a slight French accent. The Fifth Estate is helping LAPD by asking anyone who attend the following Canadian high schools to scan the photographs of their yearbooks and contact them. To follow the fifth Estate investigation visit facebook.com/JaneDoe59 and on Instagram at Instagram.com/ronna_syed or Twitter.com/Ronna_Syed. Reet's sister Anne Jurvetson, now in her 70s. Reet has been identified, but the murderer has not. I have shared these personal family photos in the hope that they might prompt someone’s memory and help those who had contact with Reet to remember what she looked like at the time. This, in turn, might enable them to provide leads or confessions to the police. I am asking a person who might still have information related to my sister’s stay in California to write or call the Los Angeles Police Department. Throughout the years, Anne had often wondered if her sister had a family and children and a successful career. Most of all, Anne had held onto hope all these years that her baby sister would walk through her door. Reet Jurvetson remembered by her sister Anne. Both of Reet and Anne’s parents have passed away never knowing what happened to their precious daughter. Their older brother Tonu has also passed. In a way, saved from the horror of hearing how Reet died but not spared a life of grief not knowing. 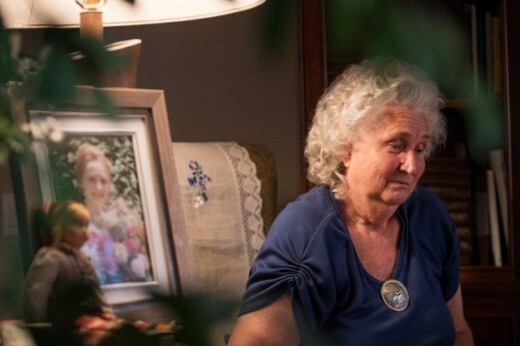 In an interview with La Presse by Gabrielle DuChaine, “Murder of Reet Jurvetson: “Somebody Knows,” Anne said she had wanted to bring her sister Reet’s body back home. “It is impossible. 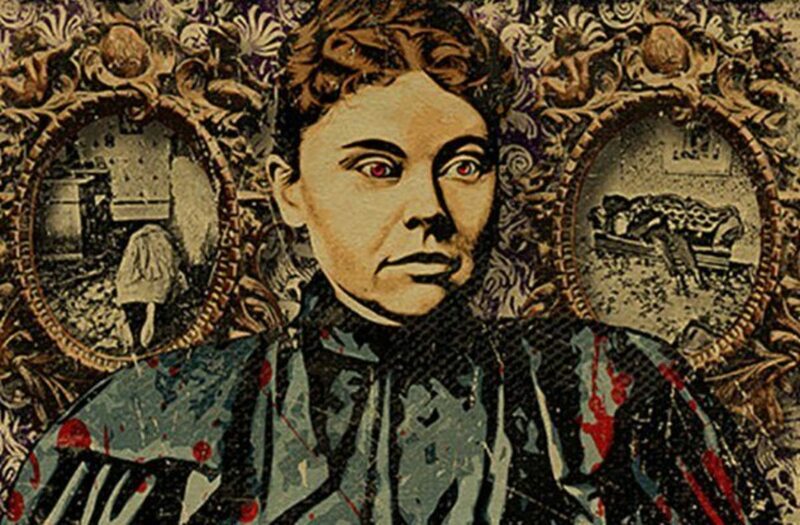 She was incinerated, and her ashes are buried in a mass grave, somewhere in Los Angeles,” Anne said crying. The only thing left for Anne are the memories of her sister, along with the most incredible courage and determination to find her killer. Anyone with information is urged to contact LAPD Cold Case Unit, Detectives Luis Rivera and Veronica Conrado at (213) 486-6810. Anyone wishing to remain anonymous should call the LA Regional Crime Stoppers at 1-800-222-TIPS (800-222-8477) or go directly to www.lacrimestoppers.org.